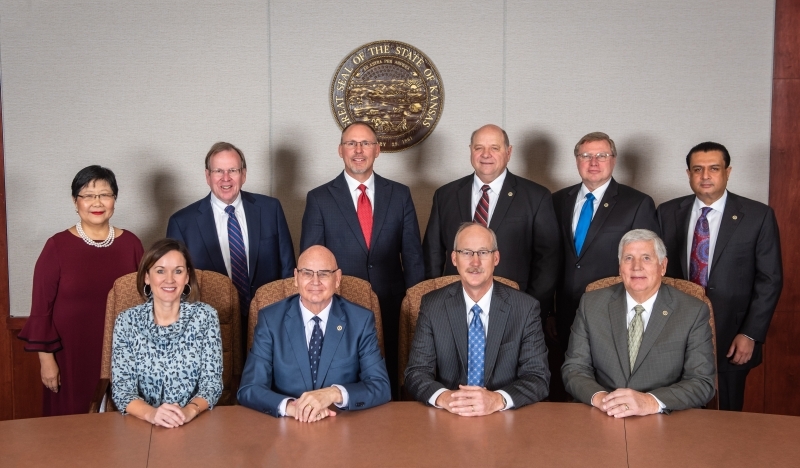 The nine-member Kansas Board of Regents is the governing board of the state’s six universities and the statewide coordinating board for the state’s 32 public higher education institutions (six state universities, one municipal university, nineteen community colleges, and six technical colleges). In addition, the Board administers the state’s student financial aid, adult education, high school equivalency, and career and technical education programs. Private proprietary schools and out-of-state institutions are authorized by the Kansas Board of Regents to operate in Kansas.